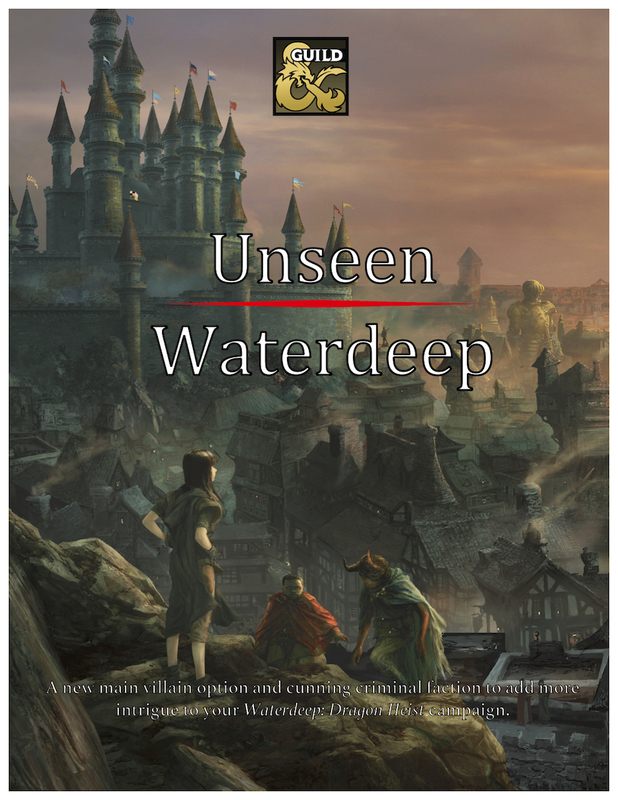 Waterdeep: Dragon Heist and Streams, Streams, Streams! Woo! I have a bunch of exciting announcements, so let’s get right to it. Friday saw the release of the first official D&D adventure in which I had a hand, Waterdeep: Dragon Heist. The DM’s Guild Adepts put out two collaborations to support the adventure so far and I was part of both. 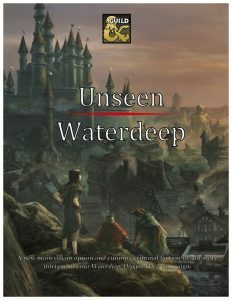 The first is called Unseen Waterdeep and I wrote most of it with Will Doyle editing and making a beautiful map with Stacey Allan. Add a new villain option and cunning criminal organization to Waterdeep: Dragon Heist. Hlaavin, a half-doppelganger/half-illithid crime boss, runs the UNSEEN, an illegal cabal of assassins, thieves, spies, illusionists, and shapechangers that plots to rule the city from the shadows. Written by Dragon Heist designer James Introcaso. 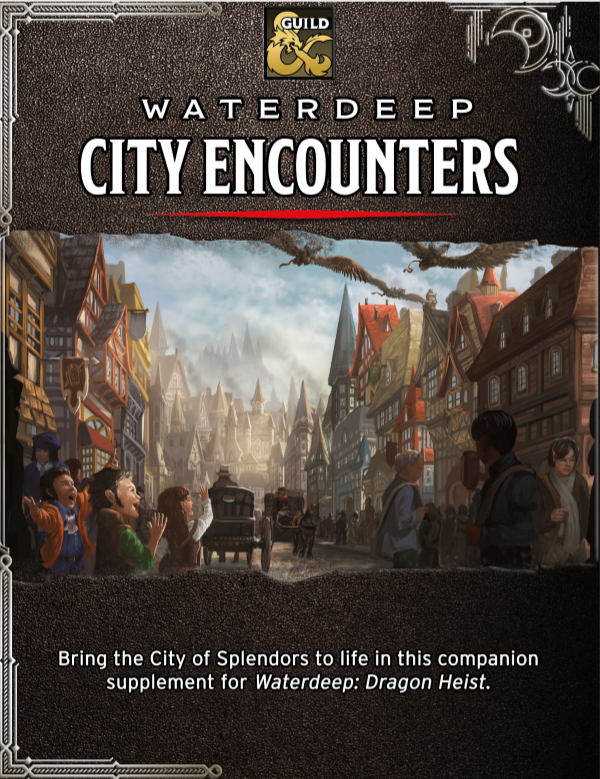 The second product is Waterdeep: City Encounters, helmed by Will Doyle with a bunch of other contributors including Alan Patrick, Cindy Moore, Rich Lescouflair, Greg Marks, M.T. Black, Robert Adducci, Shawn Merwin, Travis Woodall, and me. 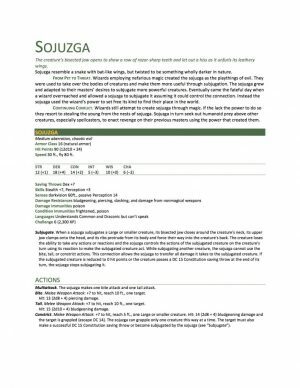 Presenting over ONE-HUNDRED short encounters that bring the City of Splendors to life in YOUR game. 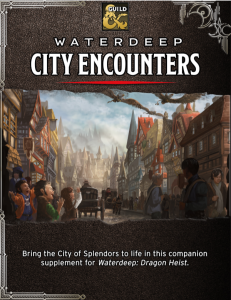 This supplement includes a plethora of highly replayable random street encounters that draw on the story of Waterdeep: Dragon Heist™, with emphasis on the central themes of intrigue, espionage, and peril. One-shot encounters are presented for almost every location mentioned in “Volo’s Waterdeep Enchiridion” (Chapter 9), meaning you’ll never get caught short for a dramatic scene as your players explore the city. On Friday, September 14th, I’m launching a new show on Encounter Roleplay’s Twitch channel called Tabletop Voices. Tabletop Voices is one-on-one chats with tabletop RPG creators, influencers, and awesomers who you may not know. Sydney Shields and Will Jones of Encounter Roleplay asked me to help them make a show that highlights people you may not always hear from. Some might be names you recognize, others will be totally new to you. The show will be available on Encounter Roleplay’s YouTube channel and as a podcast on Don’t Split the Podcast Network after they air. 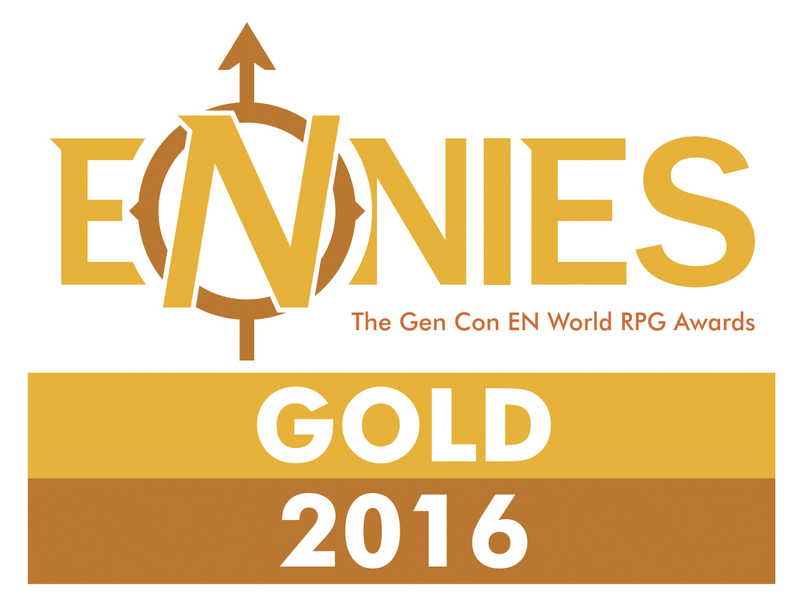 If you’ve been following this blog at all, then you know that I had a successful Kickstarter with Johnn Four of Roleplaying Tips! 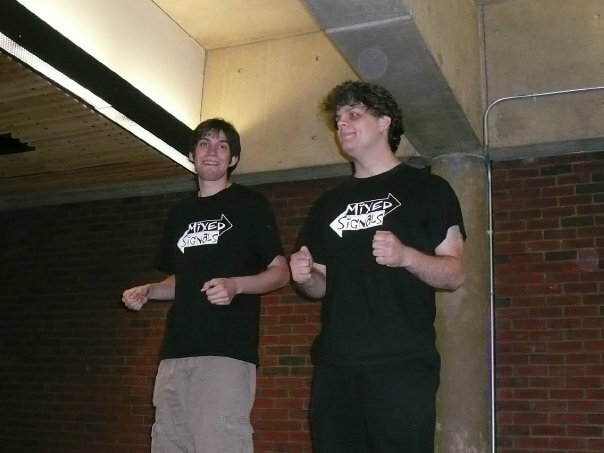 One of our stretch goals was for me to run the adventure and stream it online. Guess what? It’s happening as a stream AND podcast! You can listen to Episode 0 of the Demonplague and subscribe to the podcast on iTunes, Google Play, or Stitcher. Here’s the podcast RSS feed. You can also subscribe to the DSPN Twitch Channel and YouTube Channel if you prefer a live or visual version of the show. Have I got a treat for you! 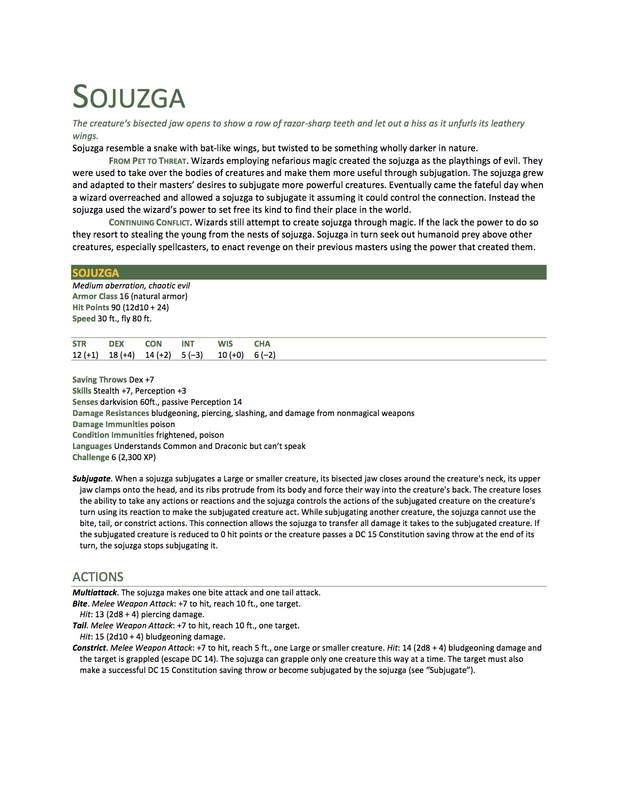 A few weeks ago, the amazing Neal Powell of the Block Party Podcast Network, asked me to look over a fifth edition Dungeons & Dragons critter he created called the sojuzga. As a wicked DM, I fell in love with the mind-controlling monstrosities. I asked Neal if I could post the baddies on my blog and he graciously agreed. If you like Neal’s work (and you should), check out his awesome game design project over at his site The Struggle Is Neal, where he takes album covers and turns them into RPG inspiration.